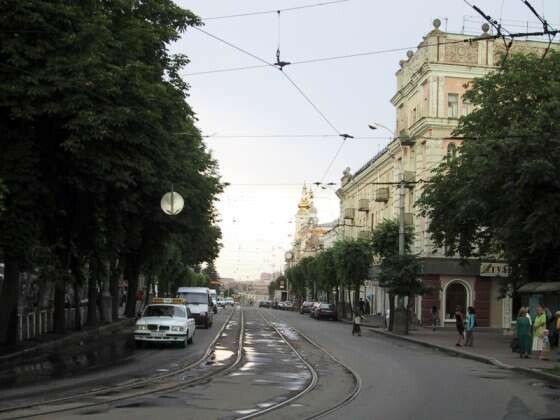 Vinnytsia [Вінниця; Vinnyc’ja]. Map: IV-9. 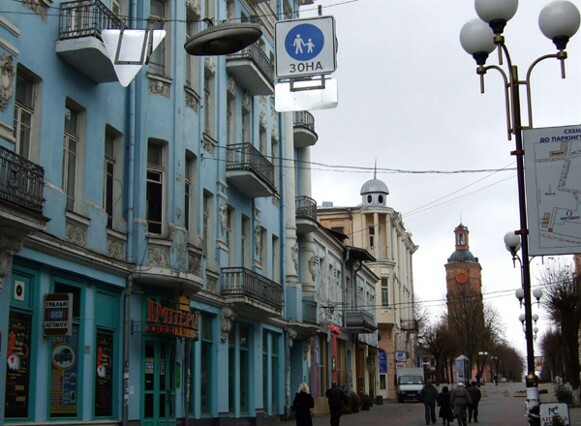 A city (2010 pop 369,195) on the Boh River and an oblast (see Vinnytsia oblast) and raion center since 1932. 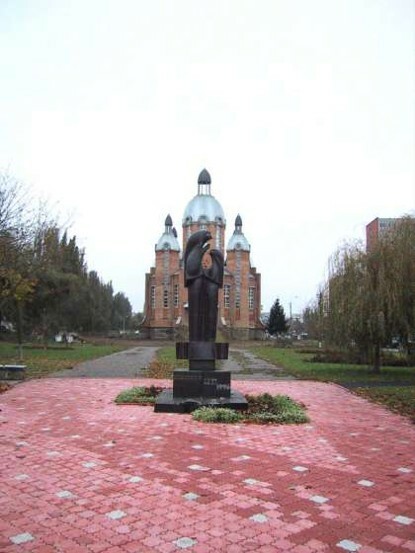 It is first mentioned in historical documents in 1363, as a Lithuanian fortress. The settlement gradually developed from a farming village into a manufacturing and trade center. By the 16th century it held regular fairs, had several guilds, and traded with cities on the Black Sea coast. 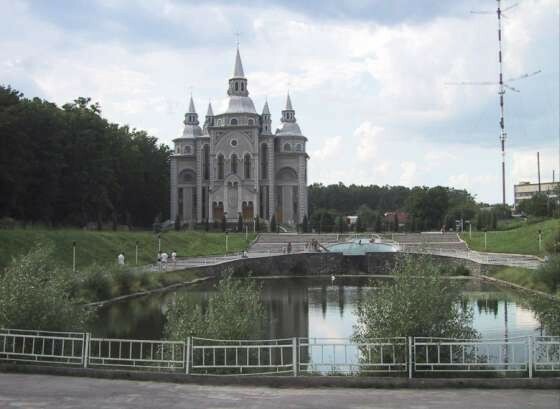 As a frontier town Vinnytsia was exposed to Tatar attack: between 1400 and 1569 it was raided more than 30 times. In 1558 a new fortress was built on a river island, and then a new town sprang up on the right bank. 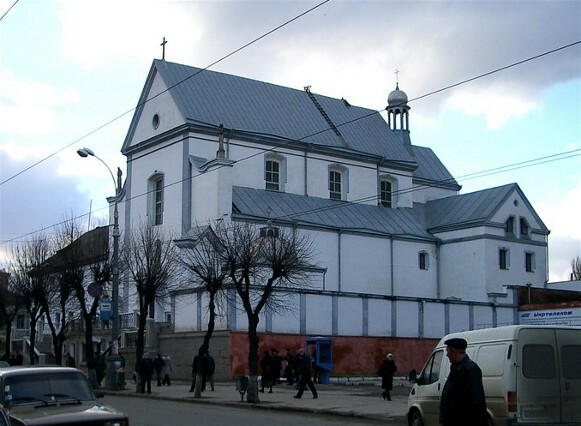 From 1569 Vinnytsia was under Polish rule. In 1598 it was made the administrative center of Bratslav voivodeship, and in 1640 it was granted the rights of Magdeburg law. An Orthodox brotherhood was set up by the burghers in the 1570s. It sponsored a brotherhood school, which operated for almost two centuries. In 1632 a college was set up at the brotherhood Monastery of the Elevation of the Cross. 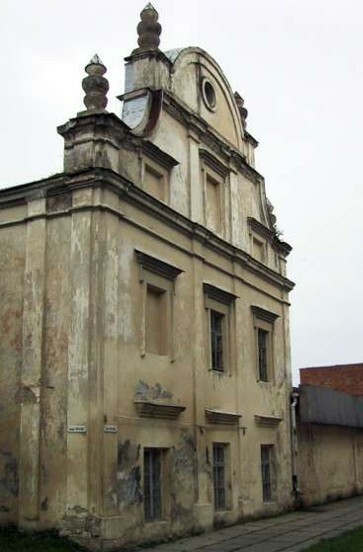 At the same time the Poles established two monasteries and a Jesuit college (1642). 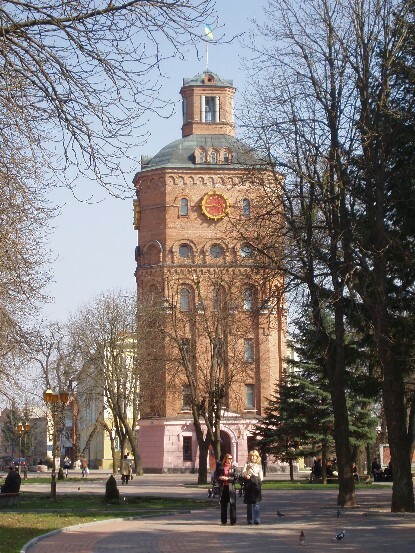 After being liberated from the Poles by Maksym Kryvonis in 1648, Vinnytsia became a regimental center (1653–67) (see Vinnytsia regiment) in the Cossack Hetman state. Under Ivan Bohun's command it withstood a major Polish siege in 1651. After being reoccupied by Poland in 1667, it was captured by the Turks, and entered a period of economic decline (1672–99) until it once more came under Polish control. 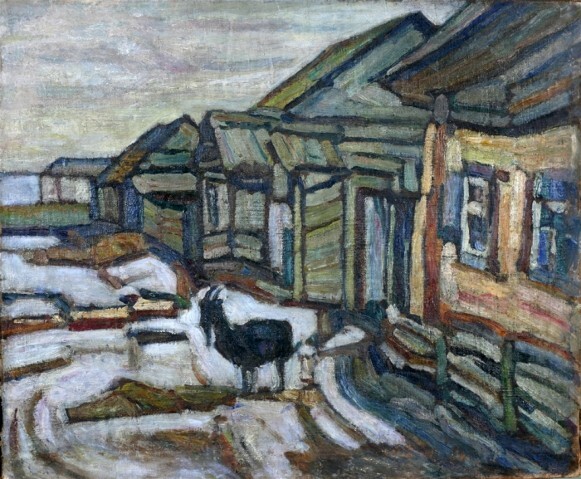 In the 18th century its inhabitants revolted repeatedly against their Polish overlords and with the help of the haidamakas seized the town in 1702–4, 1734, 1750, and 1764 (see Haidamaka uprisings). 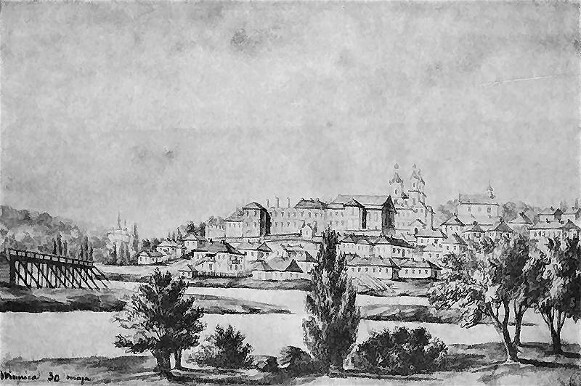 In 1793 Vinnytsia was annexed by the Russian Empire and became the administrative center of Bratslav vicegerency and a county center in Podilia gubernia (1797–1925). It developed rapidly in the second half of the 19th century. The Kyiv–Balta railway line (1871) linked the town with Kyiv, Odesa, Saint Petersburg, and Moscow. 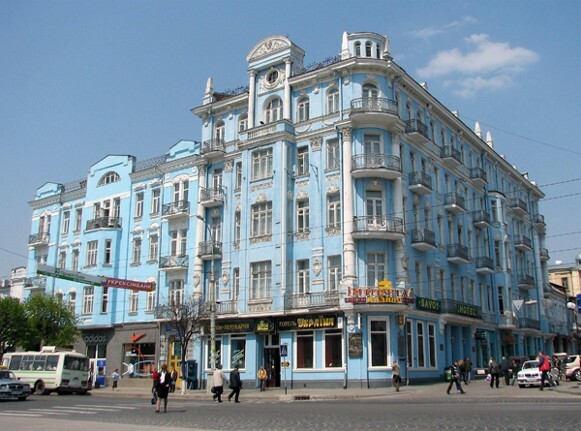 Vinnytsia became the gubernia's leading exporter of foodstuffs and trading center. The population grew from 10,000 in 1860 to 30,000 in 1897. About 35 percent of the population was Jewish in 1897 (45 percent in 1910). During the revolutionary period the city changed hands several times. 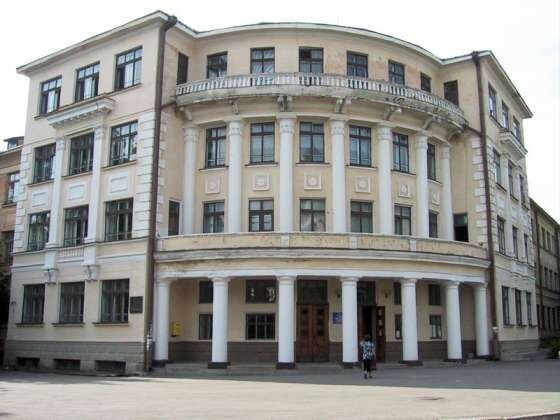 In 1919 it was the seat of the Supreme Command of the Ukrainian Galician Army. 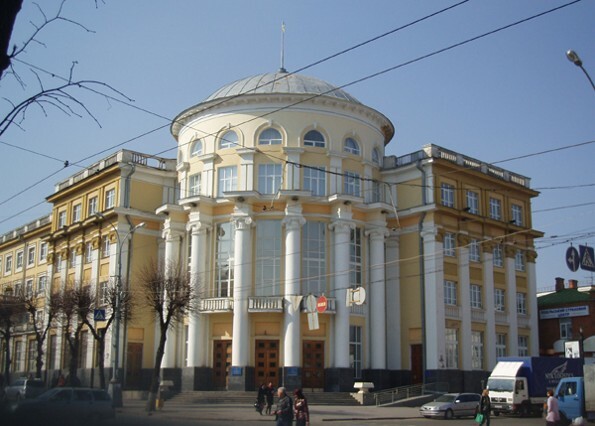 At the beginning of 1920 the Revolutionary Committee of the Red Ukrainian Galician Army was stationed there. 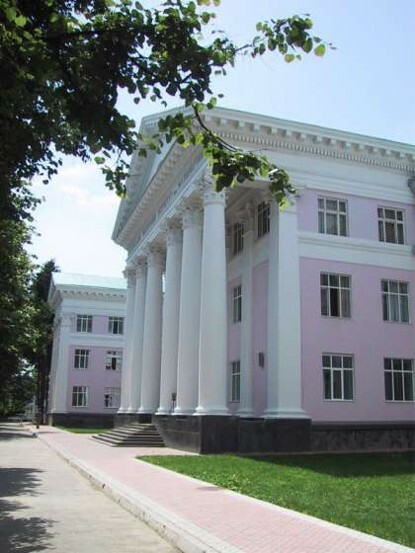 Then the government of the Ukrainian National Republic stayed there for a brief period. 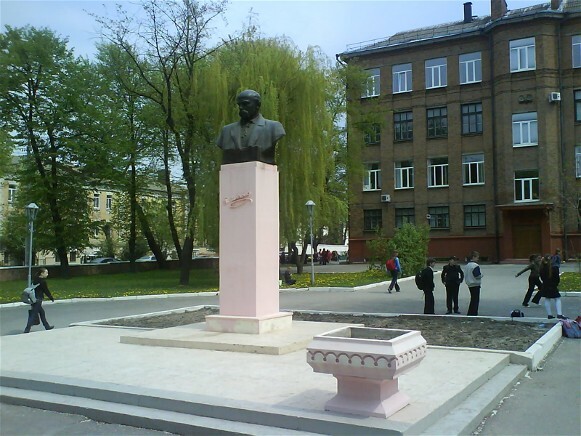 Under the Soviet regime Vinnytsia became an important cultural center. 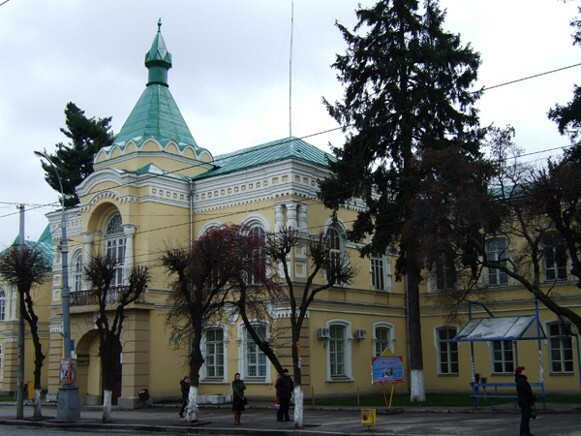 It was the home of the Cabinet for the Study of Podilia (est 1924), which was tied to the All-Ukrainian Academy of Sciences, and the Vinnytsia Branch of the National Library of Ukraine. 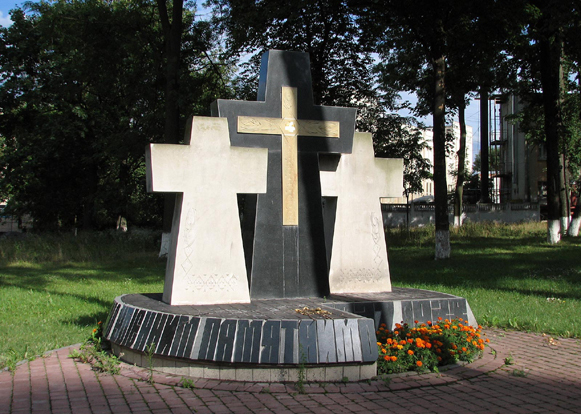 Under the German occupation (1941–4) the atrocities committed by Soviet security forces during the Yezhov terror of 1937–8 were exposed (see Vinnytsia massacre), but new crimes were committed by the Nazi forces, particularly against the Jewish population (see Nazi war crimes in Ukraine; Holocaust). After the Second World War the city developed into a large industrial and communications center. Its population rose from 93,000 in 1939 to 211,400 in 1970 and 314,000 in 1979. 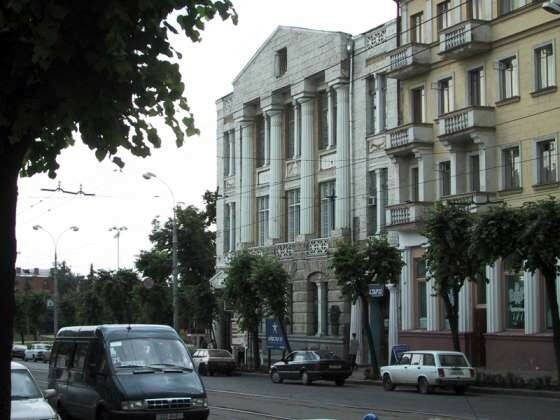 Vinnytsia accounts for nearly 50 percent of the Vinnytsia oblast's industrial output. Its machine building and metalworking industry produce instruments, radio devices, ball bearings, and tractor assemblies. The main chemical plants produce superphosphate fertilizer and paint. The large food industry consists of meat packing, oil and fat processing, canning, confectionery manufacture, distilling, and brewing. The largest enterprises of the light industry are the clothing industry and footwear industry consortia. The building-materials industry produces reinforced concrete and bricks. Its woodworking industry and furniture industry make a sizable contribution to the economy. 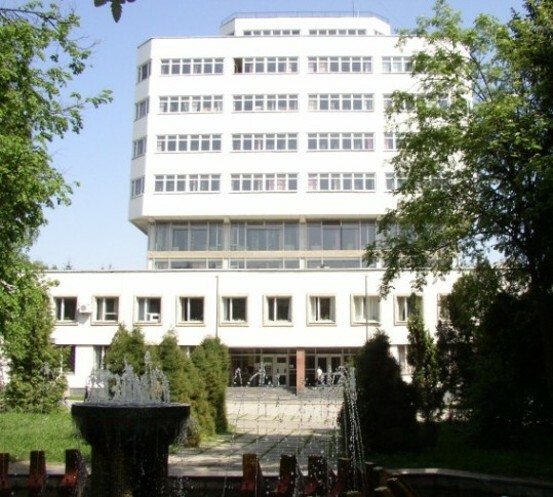 The city's higher-education institutions include Vinnytsia National Agricultural University, Vinnytsia State Pedagogical University, Vinnytsia National Medical University, and Vinnytsia National Technical University. 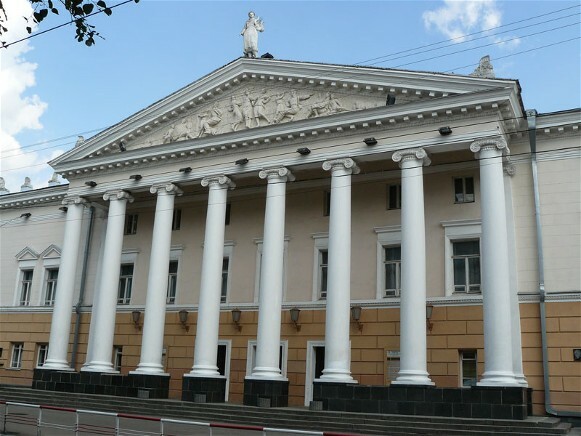 Its chief cultural institutions are the Vinnytsia State Academic Music and Drama Theater, a puppet theater, a philharmonic society, a literary memorial museum dedicated to Mykhailo Kotsiubynsky, who was born in Vinnytsia, and Vinnytsia Regional Studies Museum. 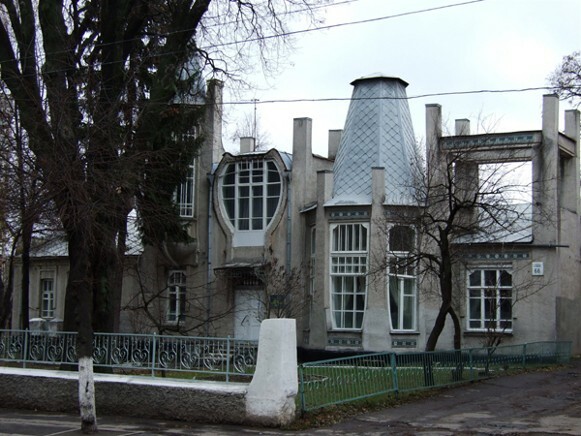 The Nikolai Pirogov Museum (est 1947) is just outside the city. 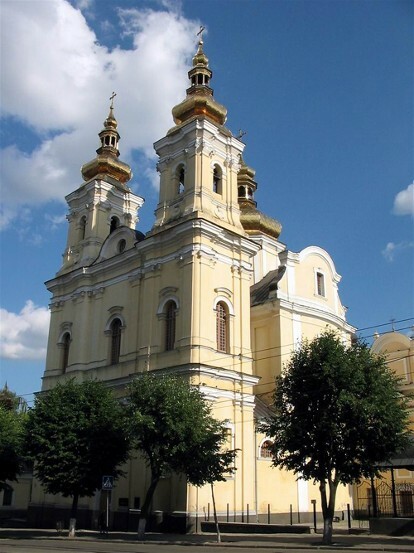 The main architectural monuments are the Dominican monastery (est 1624), Jesuit monastery (1610–17), and Capuchin monastery (1760) and the wooden Church of Saint George (1726) and Church of Saint Nicholas (1746). A referral to this page is found in 93 entries.